If you live in Toronto and have yet to make plans for your Saturday night, you may want to consider heading down to the Horseshoe. That's where Jack White's Dead Weather will be playing a surprise, late-minute show tonight (June 13). Tickets are going for $25 and only available at the Horseshoe Tavern. To get one, you need to head on down there this afternoon and grab yourself a wristband. Without one, you're going to be out of luck if you want to get past that doorman. As of press time, the folks at the Horseshoe said there are plenty of wristbands left and no line-up to get in your way. So yeah, it's definitely not too late to get into the show, which officially opens its doors at 8:30 p.m. If you by chance miss tonight shindig, don't worry too much, though. The Dead Weather will swing back through Toronto on July 22, as well as stop by Montreal on July 21 and Vancouver August 21 and 22. 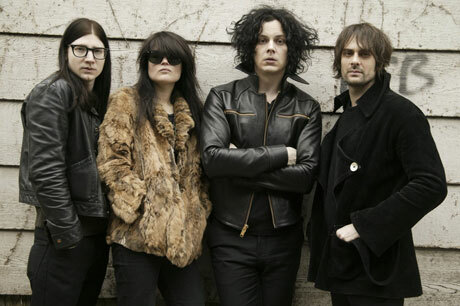 Plus, the Dead Weather's debut album Horehound is just around the corner and due out July 13.